The only concession Quentin makes to his age is to spend two days a week “doing absolutely nothing” in his tiny bedsitting room on the Lower East Side. “I have to recharge my batteries. 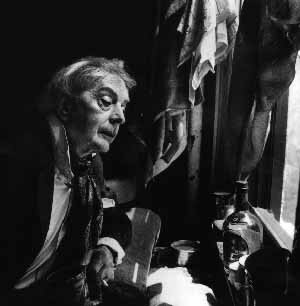 When you live in New York, as soon as you leave the house, you are under starter’s orders.” During these quiet moments, Quentin does crosswords – “they are the aerobics of the soul” – and, at the end of each month, writes his diary. Mentioning Resident Alien does not gain the normal authorial response concerning a new print baby: “Ah yes,” Quentin says, “I’ve just finished reading the proofs for that.” His eyes twinkle mischievously. “It’s absolute rubbish! They’ve taken out all of the dates, all of the places and all of the names for fear of causing offence.” He raises his eyes heavenward in mock resignation, knowing full well that it would be the most heinous breach of etiquette to say anything complimentary about his own new book. Thankfully Quentin’s days of being harassed on the street are long gone. He is a venerated celebrity on the Lower East Side. 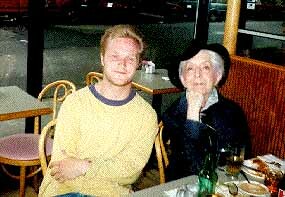 During our conversation, several people wave at him as they pass in the street, and a respectfully deferential young man who introduces himself as Winston comes in to ask Quentin for his autograph on a napkin. As I walk him back to his apartment, one of the bums hopefully shakes his cup and greets him with “Yo! 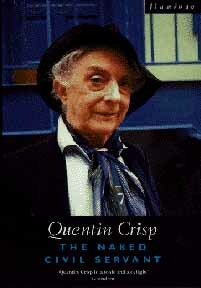 Mr. Crispy!” We pause at the street corner to say goodbye, and Quentin leaves me with one last anecdote. “When I returned to the States after completing Orlando, I was stopped by the passport officer because of my status as a resident alien. He was an enormous man with a shaved head – he looked like an absolute thug. I thought, ‘Poor me, my time has come!’ And then the officer leaned over the barrier, pressed the passport back into my hand and whispered, ‘It must feel good to be so utterly vindicated. '” Quentin looks directly at me. “And it does.” With that, he gracefully takes his leave, his small figure soon disappearing amongst the busy sidewalks of the Lower East Side. 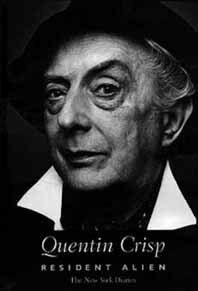 Quentin Crisp – the definitive Englishman in New York.